In the most recent post, I discussed the importance of designating alternate agents on your Durable Power of Attorney. Today, I’d like to go more in depth into this useful document and explore what Durable Power of Attorney may and may not do. When you create a Durable Power of Attorney, you make a legal arrangement to give a trusted agent the rights to make certain decisions and perform certain acts for you in the event of your disability or incapacitation. It is up to you to specify the extent of the power your agent has in the terms of the document—you can give them authority to perform any legal act you could do yourself, or you can restrict them to specific roles and actions. For example, you could give your agent the authority to make healthcare decisions, perform financial transactions, and sign legal documents if you are unable to do so yourself because of incapacitation or disability. You could also give your agent the authority to sell your property or car in your name. You can include provisions in the document that state the Power of Attorney will only become effective if you become incapacitated, disabled, or otherwise unable to make decisions for yourself. However, it is important to note that you cannot grant your agent the power to make decisions and act on your behalf in the Durable Power of Attorney document after your death. 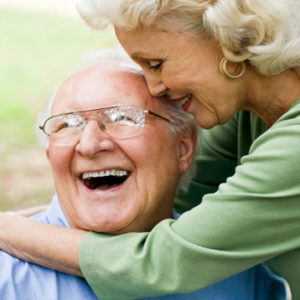 A Durable Power of Attorney is only effective while you are living. As soon as you pass, your agent will cease to have the authority to manage your property, make financial decisions for your estate, or distribute assets. In order to give a trusted individual power to care for your assets and financial affairs even after your death, you may want to consider setting up a living trust. A living trust allows a designated “trustee” to perform certain tasks during your lifetime as well as after your death. You can give your trustee the authority to perform financial transactions, invest, and manage assets that are titled within your living trust. After your death, your trustee can distribute the assets within the trust according to your instructions. So should you set up a Durable Power of Attorney or a living trust when planning for the future of your finances and assets? To determine the best route in your unique circumstances, consult with a Florida estate planning lawyer. Your attorney can explain how each option might benefit you and help to protect your personal estate, and draft these documents in a way that is clear, effective, and legally sound.